Bruce Dern is as grand and flawless as character actors get. According to IMDb, the man has 144 film and television credits to his name, and in tracing through them, it’s clear there isn’t a weak effort in sight. Whether he pops up briefly for one scene in a film, or steals an entire television show with his recurring character, or fills nearly every frame of a contemporary black and white Oscar contender, when Dern is on, he’s on like the best of them. Sydney Pollack’s They Shoot Horses, Don’t They? is one of the most gut wrenching films I’ve ever seen. Essentially, the movie is about a marathon dance competition that takes place during the Great Depression. Any couple can enter, and the winners take home $1,500. Sounds pleasant enough, right? But as the film progresses, we watch as these characters fight within an inch of their lives to maintain their standing in the competition for weeks on end. Weeks. No sleep, hardly any food, and constantly moving. Rarely has desperation been captured so hellishly on film. 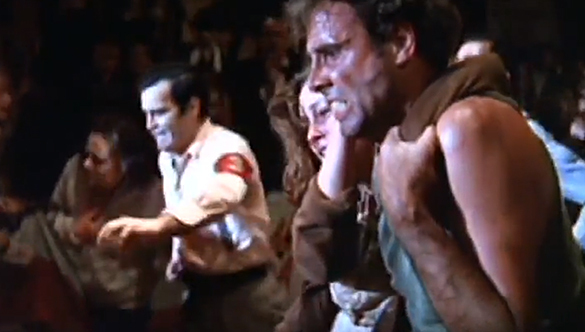 Bruce Dern’s character enters the competition with his wife, who is very pregnant, and very in need of $1,500. Just watching these two loop around the tiny track over and over and over, we gather quickly that things will not turn out well for them. Yet they keep going. Around. And around. And around. Trust me, if you haven’t seen They Shoot Horses, Don’t They?, it will utterly floor you. 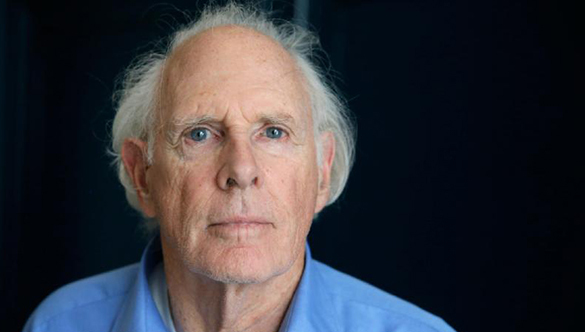 Bruce Dern is one of the very few actors to ever kill John Wayne on screen. Given that fact, I think “enough said,” will suffice here. (Oh, one topical tidbit: The Cowboys is the film Karel Roden is obsessed with in the film Running Scared. So, if you’re currently stuck in a wave of Paul Walker nostalgia like me, then look out for a clip of Dern’s iconic killing of The Duke in Running Scared). Michael Lander came back from the Vietnam War a changed man; his life now haunted by memories of his imprisonment in a POW camp. His only lasting desire is to kill himself, and take out as many innocent people as he can in the process. Michael’s day job is to fly the Goodyear Blimp over NFL games for TV coverage, and before long, he cooks up a plan to arm the blimp with explosives and crash it into a packed stadium during the Super Bowl. John Frankenheimer’s Black Sunday is a staple of unhinged, American ‘70s cinematic bliss, certainly. But it’s also an excellent portrayal of a man gone mad, willing to do anything to be remembered. 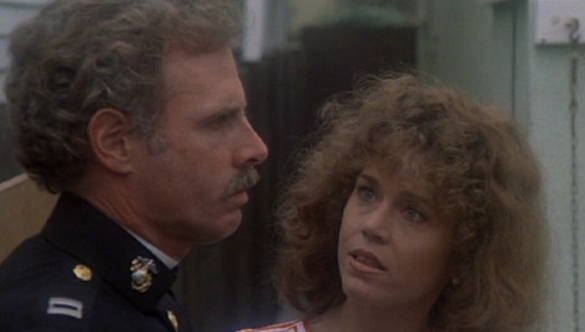 Dern’s other great traumatic soldier role was as Jane Fonda’s husband in Coming Home. When we first meet Marine Corps Captain Bob Hyde, he’s excited to go to Vietnam, as he sees it as a means of career progression. But when he returns home, he finds his wife in love with another man, and his emotional balance on edge from PTSD. Bob witnessed horrors in Vietnam, but nothing can prepare him for his wife’s infidelity, which paves way for the film’s shocking conclusion. As of now, Dern’s work in Coming Home has garnered his only Oscar nomination, which will certainly change come this January. Big Love always became more terrifyingly magical when Frank Harlow was around, didn’t it? As the evil and corrupt father of Bill Paxton’s character, Dern played Frank as a man we love to hate. Whether his family was trying to kill him, or he was trying to kill his family, no situation was too murky for ol’ Frank. I think my favorite Frank episode was the first episode of Season 4, in which Frank tried to kill his on-screen wife (played by the ever-so-talented Grace Zabriskie) while giving her a loving embrace. When that didn’t work out, he simply tried to kill her again. The way Dern manages to make such awful creeps so charming is truly a wonderful feat. 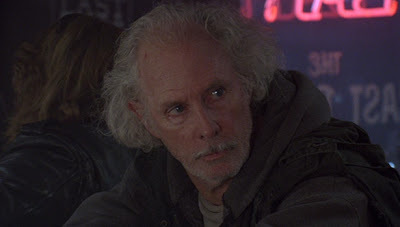 Bruce Dern has delivered many fine performances throughout his decades-long career, but I’m fairly certain his Woody Grant will be remembered as his undisputed best. 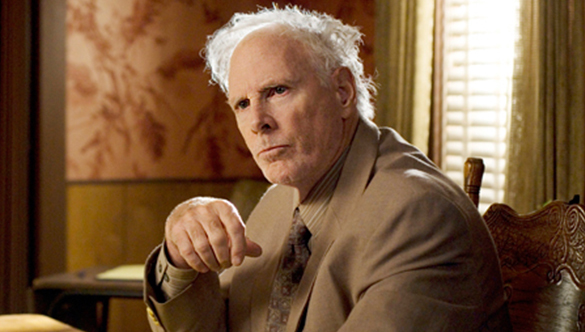 At 77 years old, Dern has proven that an actor (any actor) always has one great performance left in them. That’s Woody Grant. That old, curmudgeon, confused, sad, desperate Woody Grant. Woody Grant wants his million dollars. After receiving a piece of junk mail claiming that he’s won a large sum of money, Woody sets off from his Montana home to collect his winnings in Nebraska. Despite Woody’s family constantly trying to convince him that it’s a scam, Woody persists, walking on foot if he has to. The entire time I watched Nebraska, I wondered if Woody was for real. I wondered if he knew the money was a scam, but he journeyed anyway, as a means of giving his life purpose. Or, perhaps, Woody really thought the money was real. Director Alexander Payne does a great job of keeping this fact ambiguous for as long as he can, thanks much in part to Dern’s contained and flawless work. Perhaps I’ve talked out of turn in detailing Dern’s performance in Nebraska. 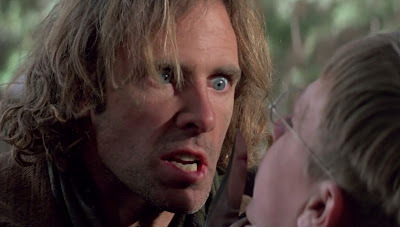 While I do still predict that Woody will remain Dern’s finest achievement as an actor, I’m sure Bruce Dern still has great performances left in him. And I simply can’t wait to discover them. Surprisingly enough, Dern's career feels like a blind spot in my moviegoing despite how ubiquitous he's been. I recently caught Black Sunday for the first time and was impressed at his unhinged--one of his specialties--Vietnam vet. I'm surprised that film hasn't received more of a critical reappraisal given its subject matter and the production values (aside from a couple jump-cuts to explosions) that hold up pretty well today. I also recently caught up with Twixt, which is a likeable throwback to the B-grade horror flicks of yore. Odd film coming from Coppola, but entertaining. A few roles that characterize Dern for me are the leering sailor in Hitchcock's Marnie, Bette Davis' doomed suitor in Hush Hush Sweet Charlotte, and his unhinged/scared-shitless astronaut in the '70s eco-scifi flick Silent Running. Your post gives me a few more films to add to the pile before I catch Nebraska. Thanks! I agree about Black Sunday. Feels like it should be a bigger film. I too enjoyed Twixt... nothing great but good for a few laughs. I haven't seen Hush Hush... or Silent Running. Definitely need to scope them out ASAP! Dern's role in Hush Hush is small but memorable. Silent Running is near-classic, though. Watched Silent Running yesterday. Quite enjoyed it. Dern plays tormented so damn well. Thanks again for the reco! In terms of character actors he is up there with Harry Dean Stanton. Dern's performance in Nebraska was outstanding, his successfully kept us sympathetic when it could so easily have gone astray. I love Stanton as well, but like Dern, he has SO MANY roles... I don't even know where to begin! Glad you liked Nebraska, I thought it was a lovely little film. Great list here, I'm itching to watch Nebraska. I've heard nothing but wonderful things. Being a big fan of both Dern and Frankenheimer, it's great to see Black Sunday on here, that film is never given the merit it deserves. Also I will point out, you have the wrong date beside The Great Gatsby on your extended filmography list. Ha wow, Dern is old but he isn't 1947-in-his-prime old! Thanks for the catch. I hope you enjoy Nebraska, I really liked it. And I agree, Black Sunday deserves more acclaim. Another great list. Btw, CBS Sunday Morning just did a great feature on him, as well. I haven't seen "Nebraska" just yet, but I'm definitely planning on it. Thanks! CBS Sunday Morning has some really solid segments from time to time. I'll have to check Dern's out. Thanks for the reco! It's strange that I feel like I know Bruce Dern well, but I haven't seen most of his major roles. I did like his grumpy old man on Big Love, and even a forgettable movie like Diggstown really benefits from his presence. I've been meaning to see Silent Running for a long time, and there are so many others that I should check out. Nebraska will definitely be seen very soon. Nice work! Thanks Dan! I too need to see Silent Running. It honestly hadn't been on my radar until the comments on this post. Glad you're a Dern fan! 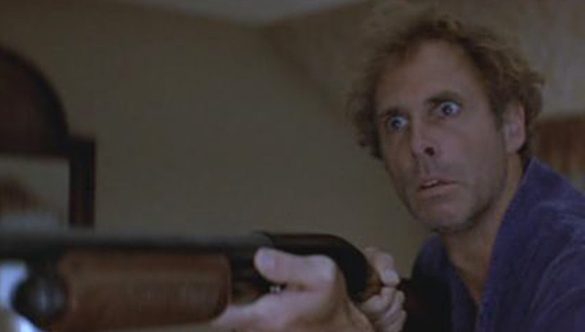 I haven't seen a lot of films starring Bruce Dern but what I have seen, he's always great in. I love his work in Big Love yet I think Coming Home so far is his best performance. I love the way his character progressed as this idealist soldier who is expected to serve in Vietnam and then come home as a man pretty much paralyzed emotionally and mentally. 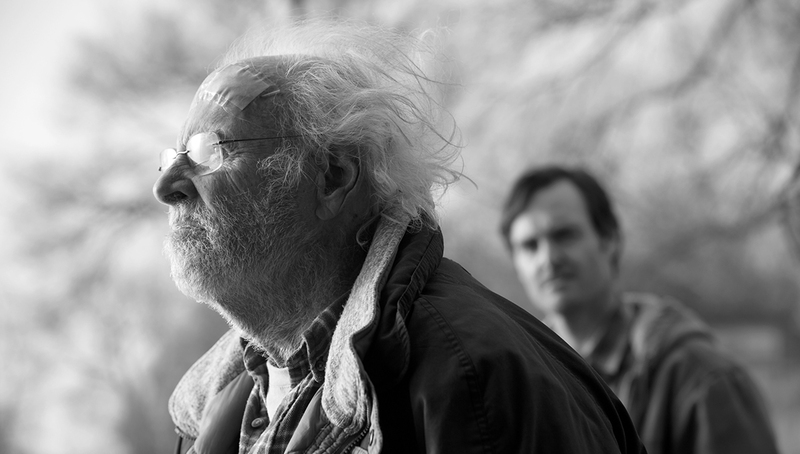 I hope to see Nebraska this month as it's one of my anticipated films of the year. Love what you said about his work in Coming Home. It's such a heartbreaking performance, and definitely my favorite in the film. I'll be interested to hear your thoughts on Nebraska. Posse... I'm all over it. Thanks so much for the recommendation. Going to give your review a read today! Very well done my friend. I really need to check out more of Dern's work. I really liked him in Silent Running, The Great Gatsby, and The King of Marvin Gardens but really haven't seen any of the first films you mentioned on here lol. I loved him in Nebraska though - definitely deserved that Best Actor win at Cannes. Such a great role and he just makes it fill out so well beyond what could easily be such a stereotype and caricatured role. Hopefully more award nods and wins come his way! Thanks buddy! He'll definitely be one of the front runners for the Oscar. It isn't my favorite lead acting performance of the year, but it is so self contained and aware, I just love it. Man I really need to see more of Dern's work! Especially since I thought he was great in Nebraska. I'm not sure whether or not you would consider him a "character actor" but with the recent acclaim Jared Leto has been getting for Dallas Buyers Club it would be cool if you would make a post about him sometime soon. Leto is a great call. Funny enough, I've never seen My So-Called Life, which is kind of where he got his start. I'd have to check that out before my write up! Oh yes. I know I've probably told you this a couple of times before but you really need to get on MSCL! I guess for the sake of making the post it's a good thing the show is only 1 season long. Even though Leto plays the most static character in the show he still manages to make it work and still does alot with the character. I remember seeing a few episodes when they were first on, but I was VERY young. I just need to sit down and give the whole thing a watch. Just saw Nebraska over the weekend. Great film, and a phenomenal performance from Dern. I really need to see some of his earlier work. The only thing I remember seeing him in from his early days was The Trip, but that was more of a film oddity than anything. Really glad to hear you liked Nebraska... Dern is going to make a real go of nabbing that Best Actor prize. Dude has a ton of other fantastic roles too. I haven't seen some of these, but I'm glad to see his performance in They Shoot Horses, Don't They? mentioned. Can't wait to check out Nebraska. Really looking forward to your Nebraska review. It's a very unique and special film. Love that you're a They Shoot Horses fan.